Integrity Building Inspections - W.D.I. 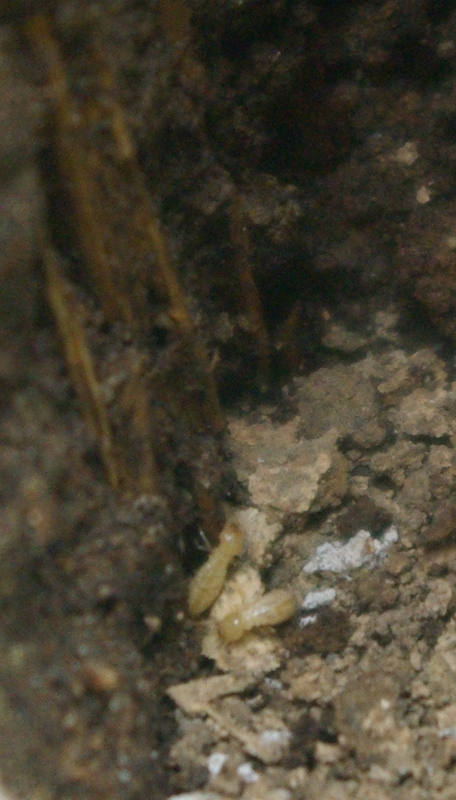 WOOD DESTROYING INSECTS or "termite inspections"
W.D.I. WOOD DESTROYING INSECTS or "termite inspections"
Wood Destroying Insects are defined as termites, wood boring beetles, carpenter ants, and carpenter bees. All 4 varieties are found in both Kansas and Missouri and if left untreated, can do considerable harm to the structure. The Department of Agriculture of both states offers a considerable amount of information on these insects. At Integrity Building Inspections we offer a Wood Destroying Insect Inspection at the same time as a Whole House Inspection using our State Certified and Licensed Inspector. Our Missouri license is No. N5733 and Kansas is No. 21629. By state law anyone offering a "Termite" or W.D.I. inspection in Kansas or Missouri must be licensed. The W.D.I. inspection is a visual inspection of the readily accessible areas of structures covered in the Home Inspection Contract for W.D.I. This includes attics, crawlspaces, and exterior areas that permit entry during the inspection. We can only inspect areas that allow adequate access. Crawl spaces must have 24" of clearance from the bottom of the floor joists to the surface below without standing water or mud. We must be able to enter attic spaces without breaking apart or dismantling coverings or removing furniture or clutter. 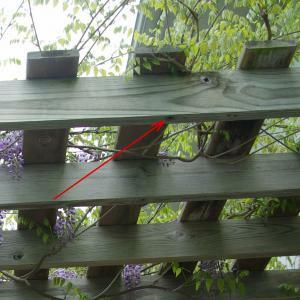 It is the homeowner's responsibility to make these areas accessible during the inspection or the obstructions will be noted on the report. We do not treat for insects or repair any damage discovered. We are only looking for infestation or damage from the infestation. Wood Destroying Insects may exist in concealed or inaccessible areas. Any inspection cannot guarantee that all wood destroying insect infestation or damage is disclosed in the report. We can only report visual inspection findings. Since they live inside the wood and cellulose fiber of building materials, the insects or extent of the damage often cannot be seen. We can observe entrance and exit holes, termite trails, debris removed from nests and tunnels, and frass (material the larvae pushed from their holes). Even though their habitat is usually inside the structure, we have been able to detect infestations overlooked by homeowners. W.D.I. inspections do not include searching for mold, mildew, or non-insect wood destroying organisms. The report is not a warranty, expressed or implied, but only a report of the conditions that were found during the time of the inspection. We now offer a W.D.I. inspection by itself but it is more cost effective to combine this inspection with a whole house inspection. The inspection includes areas outside the home (within 30 ft), inside, basement and crawl spaces, and the attic. Since we are inspecting these areas during a Whole House Inspection, we can provide a cost effective W.D.I. inspection at the same time the Whole House Inspection is being performed. 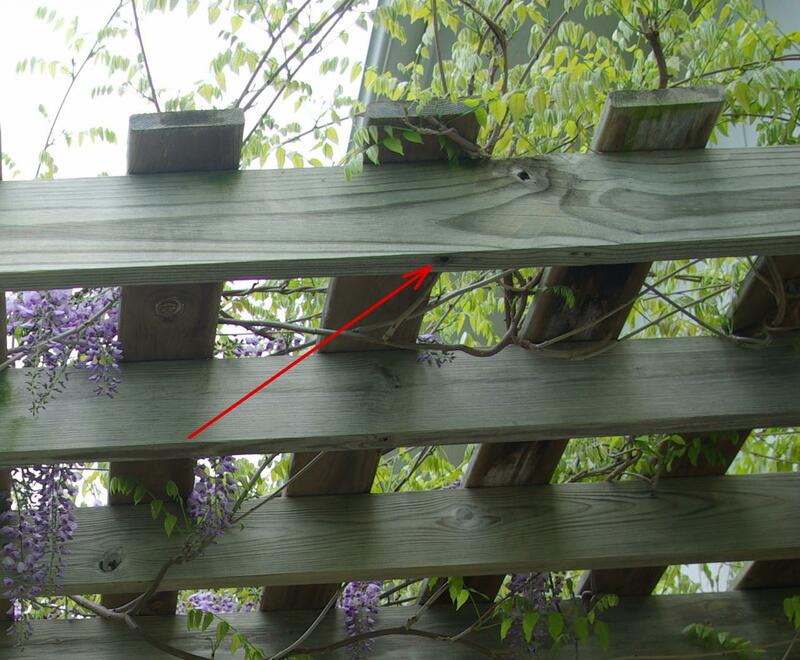 Carpenter bees create a round hole about 1/2 inch in diameter. They will reuse the same nesting holes year after year and the tunnels can become quite extensive if left untreated. Click on the image above to zoom in. Most Termites cannot be seen without breaking into their tunnels, breaking open studs, or digging them up. Normally, evidence of an infestation can be found even with their hidden nature. Damage from wood boring beetles. W.D.I. damage to sill plate on top of foundation. This is a very common termite damage. Termite tunneling out of sheetrock wall. It took less than 30 days to attract termites to this 2 x 4 placed on the ground. Please contact Gary Martin, a Missouri and Kansas licensed or certified inspector for Wood Destroying Pests at 816-922-9529 if you want to schedule a W.D.I. 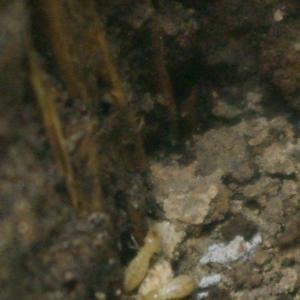 (termite) Inspection along with a Whole House Inspection or if you have additional questions on what is included.